Across the country, temperatures are starting to drop. While this may usher in a winter wonderland, it can also bring headaches for homeowners unprepared for extreme temperatures. 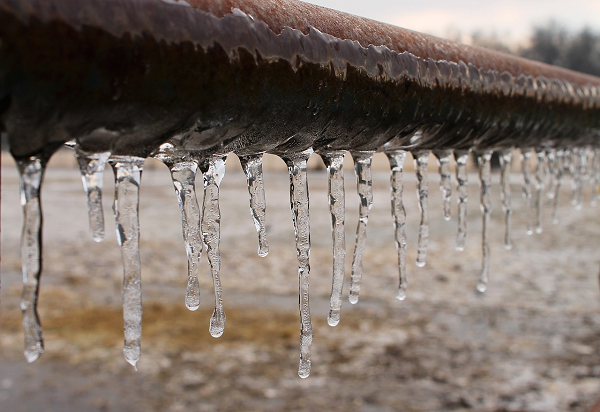 Keep reading as Green Water Technologies explains how to prevent frozen water pipes. According to Green Water Technologies, a water filtration system provider headquartered in Texas, frozen pipes are problem throughout much of the country. Although it doesn’t always get cold enough to cause a concern in the Longhorn state, it’s smart to prepare for the potential of subzero temperatures. Something that water experts at Green Water Technologies are often asked is why freezing water can bust a pipe. The answer is simple: water expands when it freezes. The expansion can put extreme pressure on plastic or metal pipes resulting in not only a loss of water in the home, but expensive repairs. Draining water supply lines from sprinklers and swimming pools. Insulating outdoor faucets with special foam meant to keep temperatures above freezing. Insulating attics, crawl spaces, and basements. Garages should also be insulated if they contain exposed pipes or hot water heater. Leave at least one faucet running through the night when temperatures drop to well below freezing. Green Water Technologies explains that this keeps a steady flow of relatively warm water flowing through pipes and can help prevent freezing. Opening kitchen and bathroom cabinets. Keeping temperature steady throughout the day and night. Green Water Technologies shares that frozen pipes can cost hundreds to thousands of dollars to repair. A few preventative measures now can prevent a major disaster down the road and and will ensure that you and your family have water throughout the cold of night.